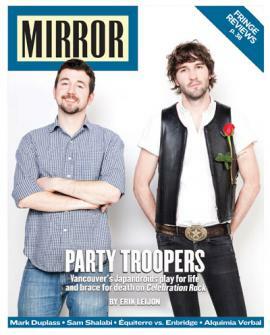 Tune in tomorrow from 7:30 to 8:30AM as CKUT dedicates an hour of programming to remembering the Montreal Mirror. If you can’t quite hack getting up that early, don’t worry - the archived show is available online here. Jonathan Cummins, Chris Barry, and other contributors and editors of the Montreal Mirror will be in studio discussing what it means to have lost one of the major hubs of anglophone arts & culture news in Montreal. They’ll delve into the history of the publication, the impact it has had on Montreal and what’s next for print media of its kind. Don’t miss it!